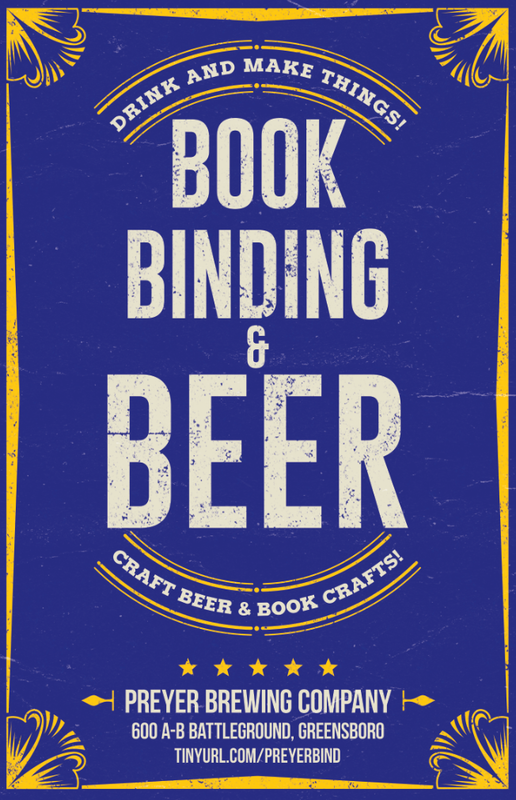 Come down to Preyer Brewing Company on Sunday, October 28 from 1pm to 4pm to learn how to make a retchoso binding! This Japanese multisection binding style is similar in appearance to the Western coptic binding, but the sewing structure is quite different. Additionally, unlike Japanese stab bindings, this binding style lays flat and makes for an excellent sketchbook or journal. Class is full, see you next time!